This year is my son Isaac’s first Christmas! 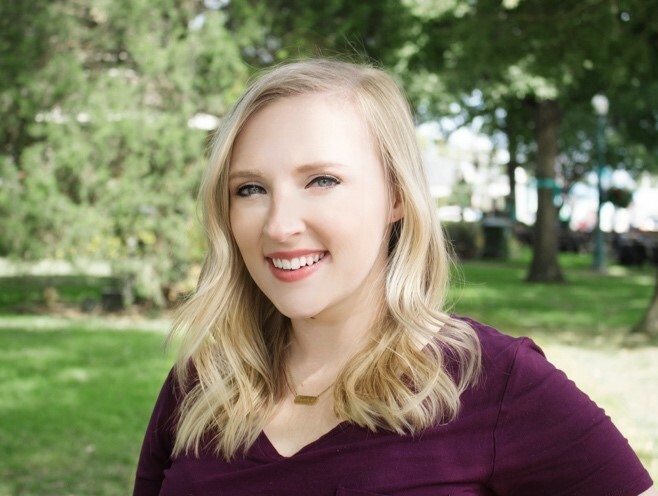 Christmas has always been my favorite holiday so I am thrilled to share with him all of my favorite things about the season. Since it is his first Christmas, I am planning on doing a few special things to celebrate! He will be 10 months old so I think these five simple activities will be so fun for him. He may not remember it but we will! I thought I would share my plans for celebrating with you today. I hope that these tips help you when planning for baby’s first Christmas and make your life simple and sweet this holiday season. Enjoy! This is a super fun tradition that my husband and I have been doing together since we started dating! Every year, we pick a theme and we each pick out a new ornament that corresponds with that year’s theme. For example, one year we did a Santa theme so we each picked out a Santa ornament that we liked. Our dogs even participate in the fun J (well…we pick out our favorite for them but it still counts, right?) Isaac will get to go with us to pick out his ornament this year and we can’t wait to see what he “picks”. I’ve seen the cutest ideas on Pinterest for Christmas photos! My favorite is one of baby in a Little Trikes car with a mini Christmas tree tied to the top! I’ve also seen some really adorable pictures of babies in Christmas gift boxes and sitting by the tree holding Christmas lights. The possibilities are endless! I plan to spend one day getting a few shots of Isaac on my real camera instead of my iPhone. I want to get some great shots of him for his first Christmas! We have started Baby Led Weaning with Isaac within the past couple of months (for more information on Baby Led Weaning, see my post here). I am going to make these simple, two-ingredient cookies for him and add some gingerbread spice and cinnamon to the mix so he can still enjoy “Christmas” cookies! This is a fun tradition that I read about and plan to start with Isaac this year. The idea is to read a new Christmas book or story every night leading up to Christmas Day! There are tons of cute holiday books on Amazon. Here are a few of my favorites! Once you start this tradition, you can rotate the same books every year. Another fun way to make this tradition work would be to go to the library and check out new books each week leading up to Christmas and read them at home together before bed. I think one of the most beneficial things you can do for your child is to set them up with a 529 College Savings Plan. Isaac really doesn’t understand the fun of presents yet (or prefers to play with the boxes that the presents come in!) so we are asking that family and friends get him one or two small toys and contribute anything else they might spend to his 529 plan. My husband and I will be doing the same thing for him. I know this will be so valuable for him and the best gift he could’ve received in the long run! 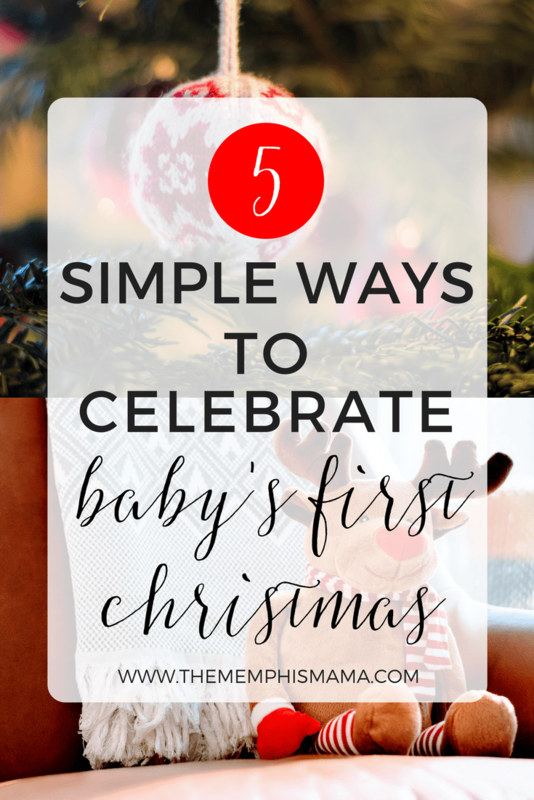 Those are my simple ways to celebrate baby’s first Christmas! What are your favorite ways to celebrate with your children? I’d love to hear in the comments section or on social media! This is a great list. My husband and I both did yearly ornaments growing up. It is so fun to look back over the years and we are definitely continuing the tradition with our two boys. Thanks Amanda! I love doing yearly ornaments, it’s such a fun tradition! I’m so excited for his first Christmas! I already have his “baby’s first Christmas” ornament, too! So adorable! Baby’s first Christmas is so much fun! Congrats on your little’s ❤️❤️ I love all your suggestions and we do a lot of those ourselves! Hope it’s fabulous. Thank you! I hope you have the best holiday season, too! Such great ideas! I love that you added the savings account idea too. Very well thought out! My sister in law gives all her nieces and nephews money in their college fund for Christmas. They don’t even notice that she doesn’t give them a “gift”, I’m grateful for fewer toys in the house, and it’s something they will really need later on.